Happy Kitchen Sink Stamps Monday! 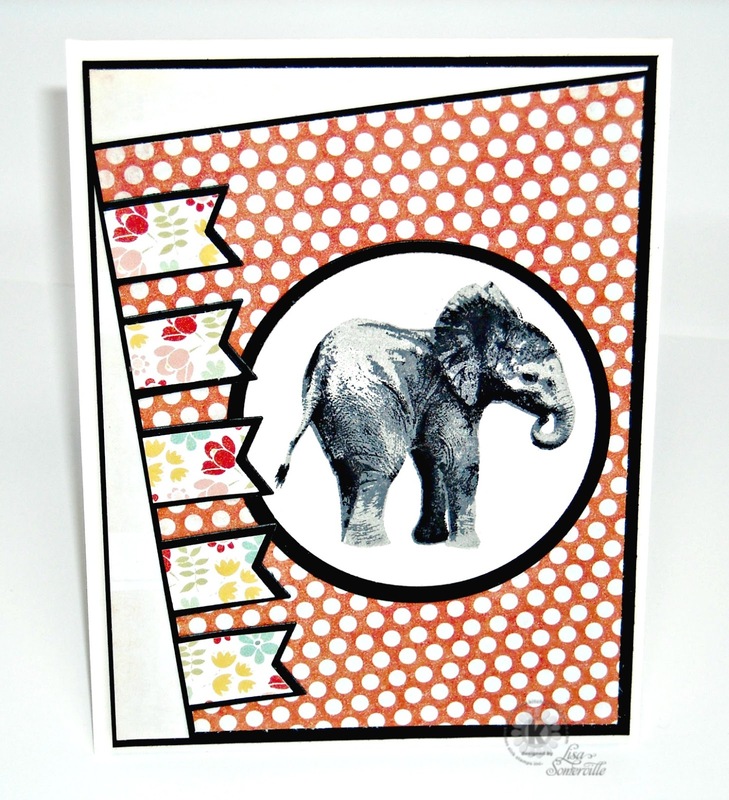 Inspired by this weeks Mojo Monday Sketch Challenge, I used My Mind's Eye Pattern Paper along with Kitchen Sink Stamps Multi Step Lil' Elephant stamp set to create my card. Neat card!! I love that elephant! Great layout for that perfect Efelant! Just beautiful! Love how crisp the black matting makes everything.